With Indian drinkers getting more wine-literate over the last five years, wine etiquette is becoming increasingly important. And I’m not talking about just that pretentious bunch that has the four S’s (See, Swirl, Smell, Sip) down pat and swirl their wine and inhale deeply every chance they get, but even the average Joe who enjoys a glass of wine every now and then. If you like wine it would add immense value to know which glass enhances which wine. If you’re not from the wine fraternity but have paid attention to all those Hollywood flicks which revolve around ‘Upper East Side’ type royalty (Yes, I watch Gossip Girl!) Riedel might be familiar to you. To those who aren’t, Riedel Crystal is the 250 year old European brand credited with revolutionizing glassware for the enjoyment of wine. Often costing the earth, these gorgeous decanters and glasses are very hard to resist. Eleven Riedel generations have owned and operated the business, but it is the last three, over the last 50 years that have done more to enhance the oenophile’s pleasure than even most winemaking dynasties. 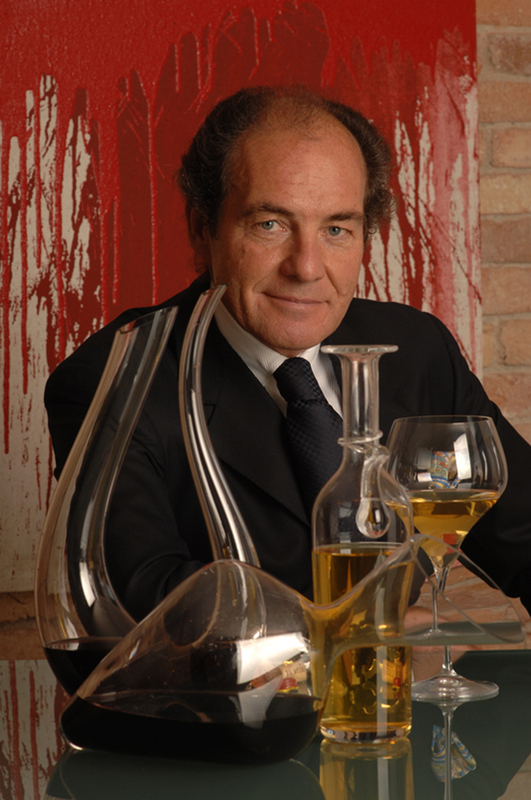 I had the opportunity to speak to Georg J Riedel – 10th generation master-glassmaker and head of Riedel. 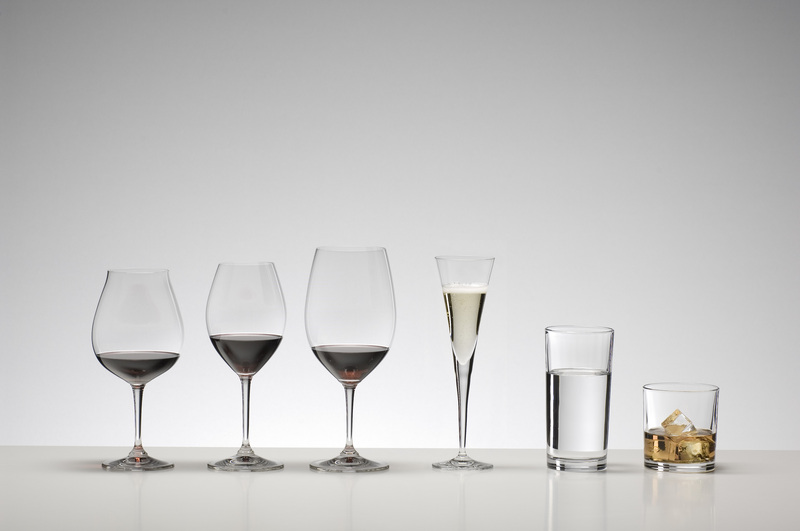 What according to you makes the brand Riedel so different from its competitors? Our brand carries one very interesting detail – that Claus J. Riedel, the 9th generation of the family, was the first person in history to create wine friendly stemware. Over time we have developed the knowledge of how to shape glasses so that we increase the enjoyment of consuming a beverage. Whether water or alcoholic beverages, it makes a big difference what glass you consume it in. Riedel is the pioneer when it comes to becoming the taste maker and this makes us unique. The idea of the tongue map has been discussed amongst scientists in a controversial way, and I can confirm that the idea of the tongue map is not what it is in this very strict way. However the mouth feel, in which taste plays a minor role, is something which we believe makes a diff in how wine is delivered. Water from different glasses has no flavour, however, people are able to point to one over the others by their liking. This means the mineral content of water is being perceived in one glass as sweet and soft, and rather salty and more intense in other glasses. So whether the tongue map exists or not, consumers can clearly identify their preferences when it comes to enjoying the same beverage, at the same temperature, from different shaped glasses and this is what we are interested in. Science has not come up with a clear explanation for this. But it is human nature for people to identify precisely what they like more and what they like less. What is the research process that Riedel follows to identify the ideal stemware and decanters for different beverages? Internally we identify shapes that we believe are suitable for the specific beverage. Then we travel to different regions and invite a panel of experts to give their judgments. Based on the judgements, we create special shapes. We have had no disappointment in the past. Whenever we have created shapes, there have been an overwhelming 98 per cent of people who have experienced the combination between the beverage and how it evolved in the glass. 98 percent of the people would say, ‘Yes, this is the shape I like best’. Decanters are aerators, so we develop decanters not based on the typical varietal specific characteristics. They are only there to aerate wine, and the aesthetics is something which is an addition to it. We believe that decanters are very important as they are the most intimate with the wine and they soften and polish the wine itself. But it does not make a difference what shape of decanter you use. It is an aeration process that takes place during decanting and meanwhile the wine rests in the decanter. What are your views on a market like India which is just waking up to wine drinking? My approach to this market is very modest. As we are tool makers, there has to be an understanding for wine to begin with, and only after an appreciation and respect for wine is developed can the glass accompany the process of enjoying wine. 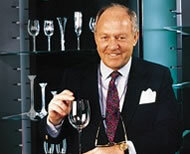 What is the overall sale of Riedel, pertaining to the Middle East and Asian markets? Which countries have registered highest growth in recent times? These are new, emerging markets for us. They are markets driven on premise business. As tourism is emerging in these countries, a lot of culture is moving into these emerging markets, which makes them very interesting for us to conduct business. The countries that have registered highest growth are the ones with the most developed international tourism. Currently those are The United Emirates especially Dubai and Bahrain. How has your operation in India been so far? Riedel is currently stocked in Delhi and Mumbai, are there plans to distribute to other cities as well? India is a very new market to us. We are very interested to get closer to the Indian wine industry so that we become friends and we can approach the young Indian pallets with our philosophy. The distribution currently is limited to the metropolitan cities, but we sell our products around the country. Hotel projects are our main subject. I would guess that retail in India has still some way to go to get to the level of the retail environment in Europe. In India glass wear/table top still plays a minor role. So we are some distance away from opening our own stores in India. What are the marketing strategies that have been planned for India? Riedel has encountered two markets in 2010 – India and China. In China we have a company that is in charge of developing Riedel. India is a couple of years behind in our plan of developing and making major investments into the country because of the per capita wine consumption which is very small. In China, the wine consumption in average per capita has already reached half a bottle of wine per person, which is amazing. So our main emphasis currently is on China. We have approximately 15 stores right now and we are looking at 45 to 50 franchise stores being opened by the end of the year. Thus Riedel is growing and expanding quite rapidly in China, so all our strengths and travel plans presently are taking us more to China rather than India. Have you tasted any Nashik wines? What is your opinion of it? I’ve had a chance to taste some Nashik wines and I would say that they are good. It’s a question of identifying the right climate in India to grow grapes which allow the produce of grape juice which is of international repute. So far there are good wines but I think India is still far away from the excellence which a country needs, in order to be proud about the wine making, its regions and so on. Busy working.. craving to read the entire post.